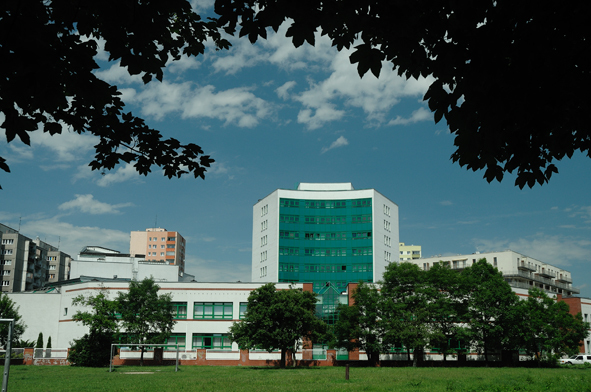 Lazarski Univesity is an internationally-oriented institution with over five thousand students from all over the world. The university was founded in 1993, and from its inception it has placed a high value on creating an educational program that emphasizes quality and practicability first and foremost. BA in Business Economics (3-year full-time program). BA in International Relations and European Studies (3-year full-time program). There is a 50 EUR application fee for students paying in Euros. Application fees are non-refundable. ADMISSION REQUIREMENTS: If you have an international language certificate (TOEFL 85+, IELTS 5.5, FCE- A,B etc.) that proves your knowledge of English is at B2 level or higher, then there is no necessity for writing our in-house English language test. Candidates without a proper language certificate however, and with English skills below the B2 level, must write our English test as well as take an additional Preparatory Course before they can begin their studies. Documents required for Bachelor’s Programs: Copy of your passport (pages with name, surname and expiration date);Scan of original High School Diploma; Scan of original High School Transcript; Scan of High School Diploma translated into English;Scan of High School Transcript translated into English; Scan of High School Diploma with Apostil. When you come to Poland, please make sure you have the following documents in their original forms. A signed and printed out application form. After registering online, you will be able to print the application out. If a candidate is below 18 years of age then the application form has to signed by one of his parents;Copy of a passport (pages with name, surname and expiration date);High School Diploma with description and final score;High school diploma with description and final scores translated into Polish by a sworn-in translator;4 photos 37*50 mm. 2. Documents stating that you, as a holder of high school diploma, can pursue higher education studies at universities in your home country. You will be able to request this document from the Polish Embassy in your own country or the country from which your high school diploma originated. Application form from theUniversity ofWales (if applying for a two-degree program). If you want to transfer from another university and wish to have your credits honored byLazarskiUniversity, download and send in one of the application forms listed below. Candidates who wish to transfer into the Law or Administration programs should download the application form for the Faculty of Law. Candidates who wish to transfer into the Economics, International Relations, Finance and Accounting, or Management programs should download the application form for the Faculty of Economics and Management. Lazarski University offers its students housing in Lazarski Houses; three dormatories: Rogaś, Sarna, and Jelonek, which are part of the Przyjaźń Dormitory Complex; as well as in Bursa Dormitory. Lazarski also assists students in finding rooms and apartments to rent in the vicinity of the university, as well as in the areas near subway stations. Any student enrolled at Lazarski may apply for housing in the dormitories. There is a limited number of rooms in the dormitories available however, so students will be assigned a room on a first come, first serve basis. Students looking for housing should fill in the Accommodation Application Form. The housing application process begins on May 15th for the Fall semester and on November 15th for the Spring semester. Executive Doctor of Business Administration. STRUCTURE OF THE PROGRAMS and FEES. MBA (Master of Business Administration) Program - One-Year Part-Time = (2 semesters) 4 modules of 5 days each and thesis defense. Tuition Fee in total: MBA 5300 EUR (for 1 year). Application Fee: 100 EUR. Executive DBA (Doctor of Business Administration) - Two-Year Part-Time = (4 semesters) 8 modules of 5 days each. Tuition Fee: MBA 6000 EUR (for 1 year). Application Fee: 100 EUR. Details of the Programs: The MBA and EDBA Programs are structured in a similar way, which has proven to be the most efficient and participant-friendly. Programs combine module format with distance learning. You do not have to quit your job in order to enroll in this Program. You will have to come to Warsawfive times only: four times to complete four modules (duration of each module: 5 days) and the fifth time – for the MBA thesis defense and graduation. Candidates are accepted before the fall (October – January) and spring (March – June) semesters. Each semester has two modules of lectures and seminars. Participants have an access to the e-learning platform between the modules and are supposed to do their homework before the next module. Altogether there are 160 hours of class activities, about 160 hours of e-learning assignments, and 40 hours of writing a final MBA thesis. If a candidate is accepted during the summer admissions period and commences his studies in October, he will graduate in June. If he starts in March, i.e. if he is accepted during the winter admissions period, then he defends his thesis and receives his MBA degree in January. The Program is taught by members of the Polish Academy of Sciences, the Vienna Institute forInternational Economic Studies, and visiting professors and practitioners who have excelled themselves not only in having internationally recognized achievements, but also in passing their knowledge and skills to their students. - copy of your passport or official ID (only the page(s) showing your name, picture and passport number). Once we receive the above documents, we will contact you and inform you when the Admission Committee’s decision will be made regarding your application. There are two admissions periods: October–February (students begin their studies in March-April) and March–September (students commence their studies in October). The next admissions deadline is March 5, 2015. Filling up an application form along with sending one’s CV, copy of BA or MA diploma and of one’s IDis enough to be considered for enrollment. There is no application fee. No proof of English proficiency is required, however. Once you begin your studies you will be able to use our library with a rich collection of books in English. Also, you will receive an electronic access to databases online. There is no doubt that your command of English would significantly improve before you graduated if it was not already perfect at the beginning. Accommodation Housing is to be arranged prior to the arrival. INE PAN offers assistance in finding a suitable accommodation solution. As a rule, to stay in Warsaw for the duration of 5-6 days (all modules are of this time-length) one may either get a room in a hotel or rent an apartment. In both cases one has to be prepared to pay about 70 EUR per night. Warsaw is a charming, vigorous and foreigner-friendly city. Living expenses are quite affordable, especially in comparison with other European capitals.